Sun, sharks, movies, and so much more. Here are 6 things that Exuma is known for! The Exumas in the Bahamas is a stunning chain of 365 islands. Each island, or cay as they’re called there, offer something special and unique. There is so much to do when you visit it can be hard to fit it all in. Here are the things Exuma is best known for! 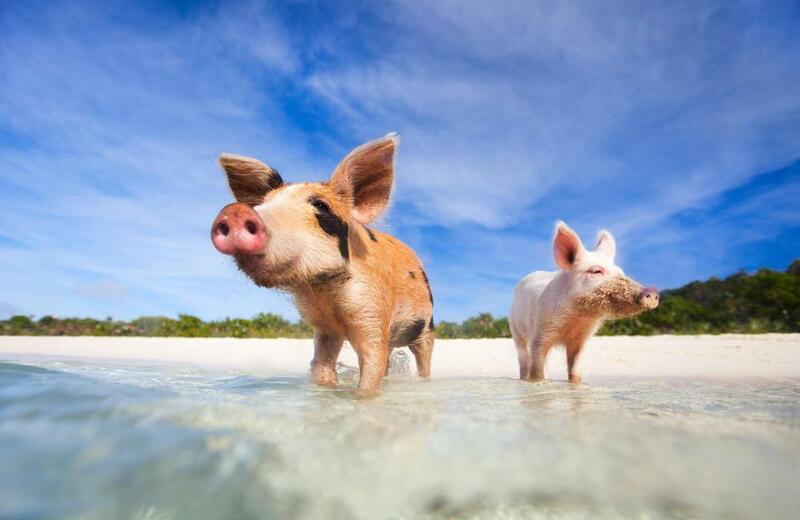 By far the thing Exuma is most known for are the famous swimming pigs. These animals are located on Big Majors Cay, a short boat ride away from the main island. While these pigs are wild, they are used to human interaction. They even swim right up to boats to be fed! Visiting them is a must if you are visiting Exuma. Make sure you read some tips before visiting them. 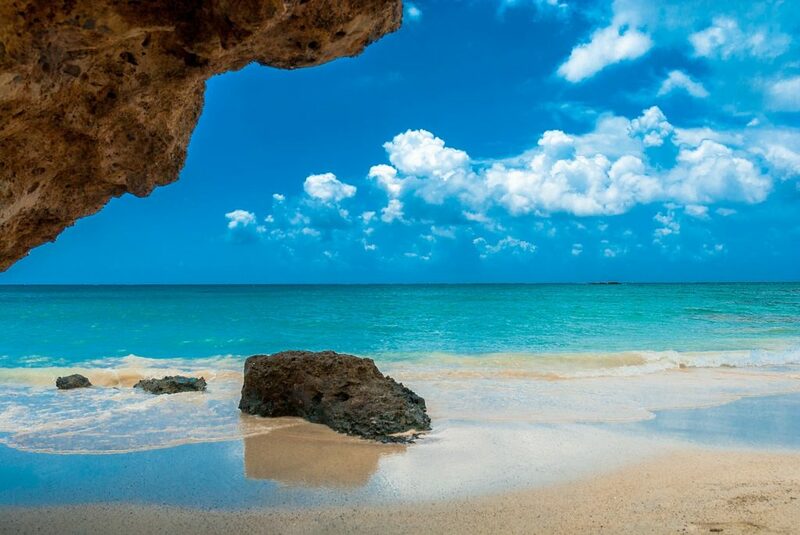 The Bahamas are located in the Caribbean, which is blessed with some amazing tropical weather. Exuma has amazing weather almost all year round. It is always warm, although it does have some rainy months. Be sure you bring plenty of sunscreen when you visit and read up on expect weather! Usually, when you swim with sharks it’s in the middle of the ocean, with a cage around you and a Great White circling you. 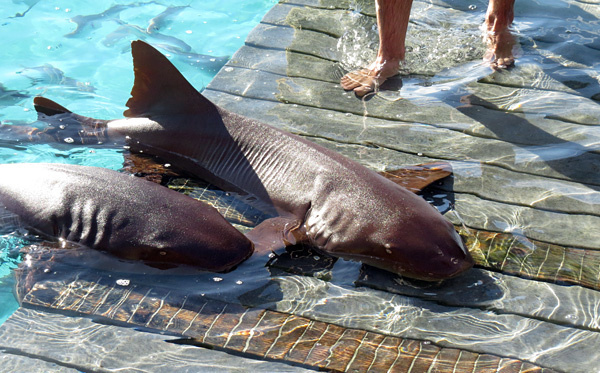 However, in Exuma, you have the opportunity to swim with some docile nurse sharks. They will swim right next to you in shallow warm water. You can pet them, take pictures with them, and even feed them! Exuma has such stunning scenery, between the blue skies, crystal clear turquoise water, and white beaches, that it’s been the location of a number of huge blockbuster movies. Movies such as Pirates of the Caribbean and James Bond have used Exuma as the setting of their movies. You can easily stop by some of these locations when you visit. Due to its location in the Caribbean, Exuma has some of the best fishing available. People come from all over the world just to fish in these waters. Whether you go out in a boat, or just cast off a dock, you will catch some stunning fish. Visitors can rent equipment and boats to take a day fishing trip to try to catch some local fish such as the Bonefish. 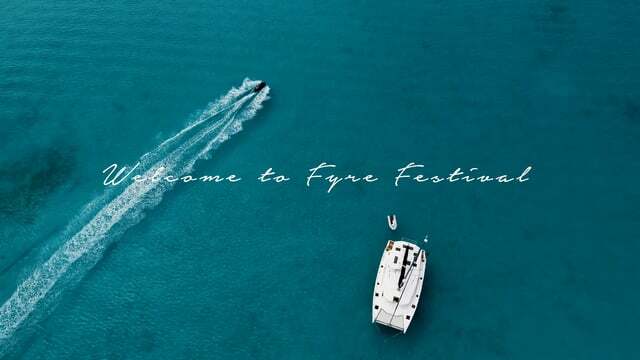 No doubt you’ve heard about the disastrous Fyre Festival. This would be luxurious music festival was held on Great Exuma island. Although it was a huge failure, and it doesn’t look great for the island, one of the few good things people had to say about their experience was that the location was gorgeous. Don’t let this scam festival put you off from visiting the island. There’s a reason this place was chosen as the location for a luxury music festival- it looks like paradise!